Engineer [Additional], Other [Pro Tools] – John Ewing Jr. Recorded at NRG Recordings, North Hollywood, CA. © ℗ 2000 Warner Bros. Records Inc. for the U.S. and WEA International Inc. for the world outside of the U.S.
Cat# 9362-47755-2 is mentioned on spine, back inlay and disc. Cat# 9 4775-2 is mentioned at the back of the booklet. FAITH NO MORE made this kind of music in the late 80s ! But not with that success ! They weren't the first band to do it, but with the album ‘Hybrid Theory’, Linkin Park kicked off the huge rise of the genre known as nu metal that dominated the early years of the new millennium. 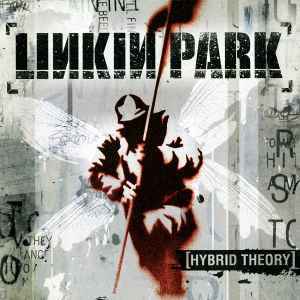 Whilst bands like Limp Bizkit and Korn had already garnered a huge following for this particular style of metal, featuring simple song arrangements, detuned guitars, DJ’s and rapping vocals, it was Linkin Park in the year 2000 that really pushed the genre into the mainstream, and with five hit singles and millions of sales, the album would go on to become one of the finest representations for what nu metal was all about. Not bad for a debut album. While Linkin Park’s debut record certainly has some excellent tunes, it’s the singles which are easily the best, and most recognizable, songs. Tracks like ‘Papercut’, ‘One Step Closer’, ‘In the End’ and ‘Points of Authority’ may all have been played billions of times on the radio or had their videos played on metal television channels, but there’s just some magic in the songs that make them great to listen to through loud speakers, no matter how often you've heard them. Unfortunately, with the exception of ‘Runaway’, probably my favourite track from the album, the rest of the songs are pretty pointless, filler material. And towards the end the constant lyrical themes of depression, regret, rebellion, anxiety etc, start to wear a bit thin (a problem that would ensure this genre’s stay at the top would last no more than a couple of years). Linkin Park is far from being one of my favourite bands, but coming from a time when metal music in the mainstream was near non-existent, ‘Hybrid Theory’ gives the music world a good kick in the arse, and helped to revitalize a dying genre. This is Linkin Park at their prime. Their first was their best, so innovative and fresh. It still is today. The song "Cure For The Itch", in spite of not being nu metal, is just phenomenal. The scratching, the beats, the menacing sound and mostly these piano notes are from another planet. Thank you Mr. Hahn for this. Concerning all the other tracks... well, it's pure craziness ^^. Chester's voice was on form, Shinoda's rapping was well fitted with the loud guitars. But furthermore, every song is meaningful. For example, how can't you feel so concerned and outraged while hearing "S*** UP WHILE I'M TALKIN' TO YOU !". This CD lasts about 38 minutes, so you really have to enjoy it completely. Rest in peace Chester ! Thanks a lot for the memories. So much teenagers and children like me have been rocked thanks to your music. A very nice album, 5/5 for sure, I wouldn't be without it !! Bring back the good times ! No remaster nastiness on this one either. Remasters kill music. This one is perfect from start to end. No fill tracks either I could spot in first listening. A sign of a good record, you automatically put on repeat. I got an edition with extra zippolighter. Anyone know anything about that?